Hongfu Liu received his bachelor and master degree in Management Information Systems from the School of Economics and Management, Beihang University, in 2011 and 2014 respectively. He received the Ph.D. degree in computer engineering from Northeastern University, Boston MA, 2018. Currently he is a tenure-track Assistant Professor affiliated with Michtom School of Computer Science at Brandeis University. 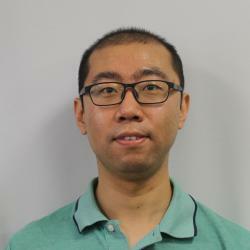 His research interests generally focus on data mining and machine learning, with special interests in ensemble learning. He has served as the reviewers for many IEEE Transactions journals including TKDE, TNNLS, TIP, and TBD. He has also served on the program committee for the conferences including AAAI, IJCAI, and NIPS. He is the Associate Editor of IEEE Computational Intelligence Magazine. Deqing Wang, Chenwei Lu, Junjie Wu, Hongfu Liu, Wenjie Zhang and Fuzhen Zhuang. "Softly Associative Transfer Learning for Cross-domain Classification." IEEE Transactions on Cybernetics (2019). Haitao Xiong, Hongfu Liu, Bineng Zhong and Yun Fu. "Structured and Sparse Annotations for Image Emotion Distribution Learning." AAAI Conference on Artificial Intelligence, 2019. Weiren Yu, Zhengming Ding, Chunming Hu and Hongfu Liu. "Knowledge Reused Outlier Detection." IEEE Access (2019). Zhengming Ding and Hongfu Liu. "Marginalized Latent Semantic Encoder for Zero-Shot Learning." IEEE Conference on Computer Vision and Pattern Recognition, 2019. Zhiqiang Tao, Hongfu Liu, Sheng Li, Zhengming Ding and Yun Fu. "Marginalized Multi-View Ensemble Clustering." IEEE Transactions on Neural Networks and Learning Systems (2019). Zhiqiang Tao, Hongfu Liu, Sheng Li, Zhengming Ding and Yun Fu. "Robust Spectral Ensemble Clustering via Rank Minimization." ACM Transactions on Knowledge Discovery from Data (2019). Hongfu Liu, Ming Shao and Yun Fu. "Feature Selection with Unsupervised Consensus Guidance." IEEE Transactions on Knowledge and Data Engineering (2018). Hongfu Liu, Ziming Huang, Yun Fu, Qi Chen, Mingqin Li, and Lintao Zhang. "Fast Clustering with Flexible Balance Constraints." IEEE International Conference on Big Data, 2018. Yue Wu, Hongfu Liu, Jun Li and Yun Fu. "Improving Face Representation Learning with Center Invariant Loss." Image and Vision Computing (2018).